We’re not just a hardware store! We are more and we do it big. We have a huge selection of housewares and home furnishings to help you create comfort and convenience in your home. And this is one of the few places in the store where fashion can trump function! 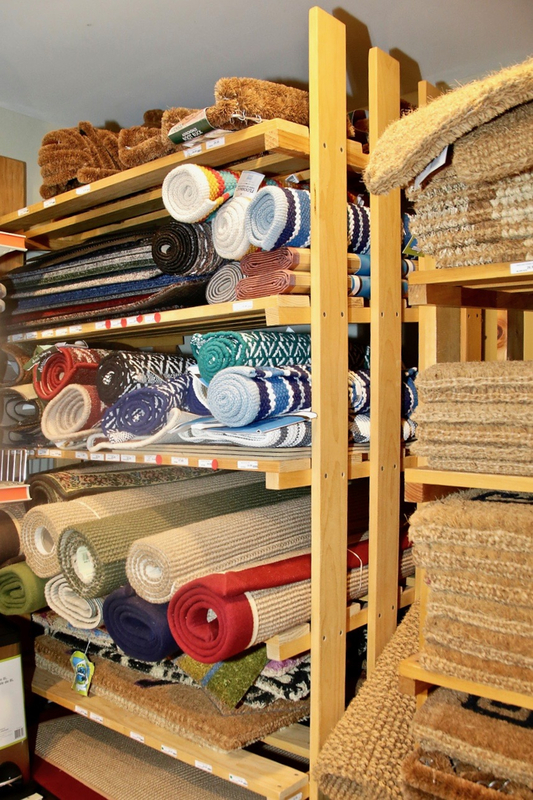 Whether you’re looking for a durable outdoor mat, a new shower curtain, maybe shelf liner, or a laundry basket for your new college student, we’ve got it. And don’t overlook our selection of bath towels, organic cotton sheets, wastebaskets, or drying racks. As you browse through our Housewares Department don’t forget to take a look at our Bathware Department and our award-winning gourmet kitchen shop, Diane’s Kitchen, located on our second floor. These three Departments offer thousands of items to help you meet all of your home’s needs. Visit Diane’s Kitchen Shop here. For our newer customers who just moved into a new apartment or home check out our New Home Shopping List. This list provides a great summary of some of the more important items you wan to have in your new living space. Mat all outside entrances, especially those with heavy traffic. Depending on your living situation, you may have doors to the back or side yards in addition to just the front. Make sure all have doormats. Also mat entrances to the main part of your house from messier or unfinished areas such as a basement, workshop or garage. Mat inside and outside. Having two mats gives you a second chance to catch whatever is on the bottom of shoes. Mount a boot scraper for entrances where you have a lot of mud or snow, and encourage people to use it if they accumulate heavy soil on their shoes. Absorb moisture. Indoor mats often look a little more like carpet. Choose fibers that will absorb moisture. In wet or heavy traffic areas, make sure that moisture is also contained. Boot trays designed to hold wet or dirty boots work great inside or outside the door. Clean your mats periodically. It is possible for doormats to get so full of dirt, debris, or moisture that they no longer clean shoes very much. Shake, vacuum, or sweep out loose debris. If the mat is fairly dry, this may be all you need to do. Spray down outdoor mats with a nozzle on a garden hose. And, here’s a few more tips for you! If you’re trying to choose the perfect outdoor mat for the cold weather months, try to avoid full-on rubber mats. Even though they are the most cost efficient, non-slip, and durable, the prolonged exposure to cold weather and the elements will cause cracking over time. And, you want your mat to last! We recommend having a cold weather and warm weather option to change out as the seasons change. So, as you can see, we have a wild selection of housewares to choose from; and, we will help you find what you’re looking for! 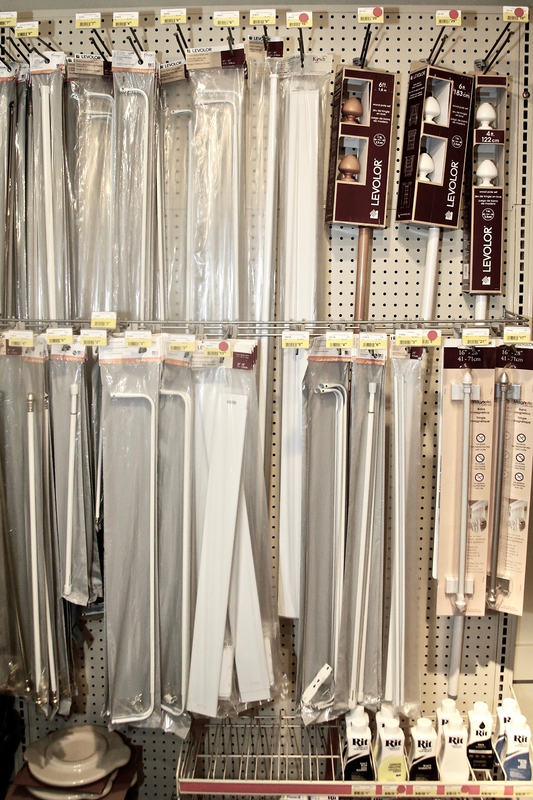 Whether you are looking for bath towels, maybe a new curtain rod, or a wastebasket for your home Woodstock Hardware has the products and supplies you need.